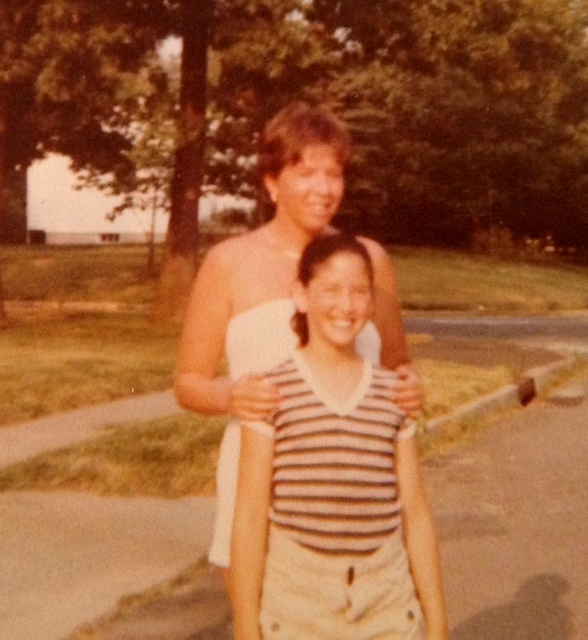 Today is my mom’s birthday and so I am dedicating my blog post to her—Happy Birthday, Mom!! 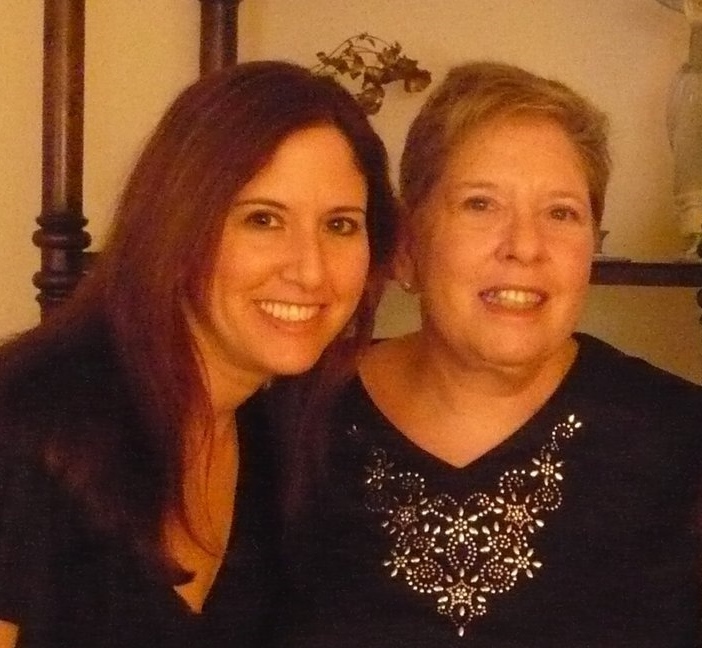 I love my mom with all my heart, and I credit her with being one of my most productive muses. In fact, she inspired the mother character in my debut novel, Just Friends with Benefits. Little things my mother says/does always appear in my writing. I think my mother has a love/hate reaction to seeing “mommyisms” in my writing—she is both flattered and embarrassed. My mother is an avid reader of my blog and while I believe she‘s always hopeful that I will share something personal (*cough* my love life), I know that she’s genuinely interested in all aspects of my life, including my friends, my day job, and my writing. Christmas day – My birthday is December 23rd and since I was raised Jewish, my family typically does not celebrate Christmas. Almost every year since I’ve been out of college, my mother and I have spent either Christmas or Christmas Eve together. We see a movie and then we go out to dinner. Among the movies we’ve seen are The Wolf of Wall Street, Up in the Air, The Pursuit of Happiness, Young Adult and Schindler’s List. Although there have been years that I was away during the Christmas holiday and years we’ve been joined by a third person, those years are few and far between. The tradition is really ours and I love having my mother all to myself. Day trip to the beach – My mother loves the beach and another tradition we share is reserving a day in the summer to drive to the beach in Long Branch, New Jersey. We leave the house by 9am, arrive at the beach by 11am and stay until at least 5pm. The snack bar at Long Branch makes the best hot dogs ever and I think we look forward to that as much as the beach. Parking is never fun, mostly because I have to carry both of our beach chairs. I’m sure my mom remembers the bitchy woman who purposely took forever packing up her car because she knew we were waiting for her spot. And I know she recalls the year after I graduated college when we passed Monmouth University and I started crying when it hit me that I wouldn’t be going back to my own college, Suny Albany, anymore. Shopping – there is no one I enjoy shopping with more than my mother. She has impeccable taste and she’s always honest with me about what is flattering and what is not. Growing up, I would lose sleep in excitement the night before a planned shopping spree with my mom. To this day, I entrust my mom more than anyone else to help me choose dresses for important occasions and I’m never quite certain if something works until my mom gives her okay. Amusement parks – One of my proudest moments of being my mother’s daughter was the day we went to Six Flags Great Adventure. While my sister and I bit our nails in anxiety while waiting in line for the rollercoasters, my mother was fearless. It was pretty awesome. In sickness and in health – I don’t like being sick but when I’m under the weather, I always want my mom to nurse me back to health by making me her famous “orange aid” with a maraschino cherry. This was a tough winter for me health wise—I was five minutes away from a flu at all times. My mother escorted me to Urgent Care and she also made me several helpings of orange aid and Matzo Ball Soup. There is nothing like feeling under the weather to turn a grown woman into a mama’s girl. Broadway – Since my mother’s birthday is so close to Mother’s Day, my combined gift to her is always a mother/daughter outing to a Broadway show and dinner. We’ve seen The Producers, Fiddler on the Roof, 9 to 5, The Pajama Game, Mama Mia, Hairspray, La Cage Aux Folles, Billy Elliot and many others. This year, I bought us tickets to see Beautiful. Although it costs me a pretty penny and it seems the tallest guy in the audience is always seated directly in front of one of us, I love sharing the experience with my mother. There are so many more wonderful memories where my mother is concerned and I look forward to creating more in the years to come. Happy Birthday Susan Jane Goodman. I love you!